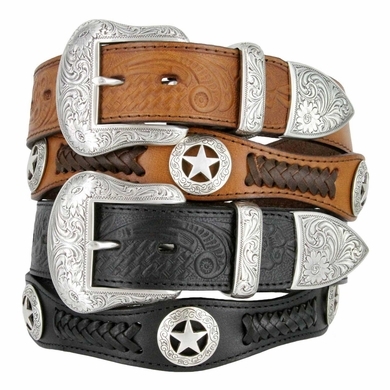 A western genuine leather belt, with hand-laced leather accents and round-edged star conchos, featuring a floral engraved buckle, tip, and keeper. 1-1/2" wide. Made with snaps for interchangeable buckles.